Awarded 4 stars by Platter. Crisp with a refreshing minerality, gently softened by light fruity flavours. A lively and full bodied Sauvignon Blanc that will pair well with your favourite dishes! 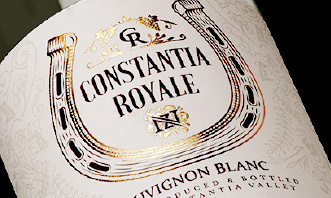 Sauvignon Blanc grapes were harvested by hand from Nova Zonnestraal vineyards in the Constantia Valley at the end of February 2015 at 22.5° balling. Whole bunches were cooled to 10°C and then lightly pressed in a 6 ton bag press to 600 litres of juice per ton. Fermentation at 14°C for 14 days, was followed by 6 months sur lie aging in stainless steel tanks. Superior wines begin in the vineyard and the quality is strongly influenced by selecting only the finest fruit. The advantage of a boutique wine farm with only five separate vineyards, is that the Winemaker is able to personally oversee each vineyard and make sure that the grapes reach their peak flavours and that everything is in balance when they are hand-picked. I was appointed Winemaker by Nova Zonnestraal in 2013 and was responsible for the farming of the 2014 grapes which were harvested in February 2015. This has been an exceptional harvest in that the production of Sauvignon Blanc was more than double that of any previous year. Furthermore, the fruit was clean and unblemished and the weather was perfectly dry during the harvesting period. I believe that all this has resulted in the production of a superb wine.